The Seattle Seahawks have a lot to squawk about when it comes to renewable energy as their stadium is now the home to the largest solar array in the state. The 2.5 acre array will cut their energy costs by 21% using a unique tubular solar panel which makes full use of the sun, even when it is overcast. The Solyndra solar panels click into place and capture light from all directions rather than just one which is good news in a place that does not see a lot of direct sunshine. 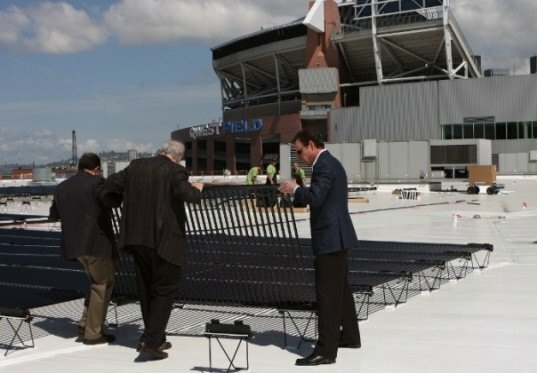 The solar panels are thin film CIGS (copper, indium, gallium, and selenide) wrapped in a tube and placed on a white flat roof at the stadium‘s Event Center. The technology boosts the output of the array in the overcast Northwest by receiving light from all directions, including the white roof on which the panels rest, reflecting usable light up on a sunny day. The white roof also keeps the Event Center a lot cooler, thus reducing the need for AC. The complex has also gone through a major energy retrofit to make sure that hard earned solar energy is put to good use as a part of Seahawks owner Paul Allen’s Green Sports Alliance. The array consists of 3,750 individual panels set on stands which snap together. A two person crew can assemble the array with no tools and the panels do not need to be bolted to the roof nor do they need ballasts to weigh them down. 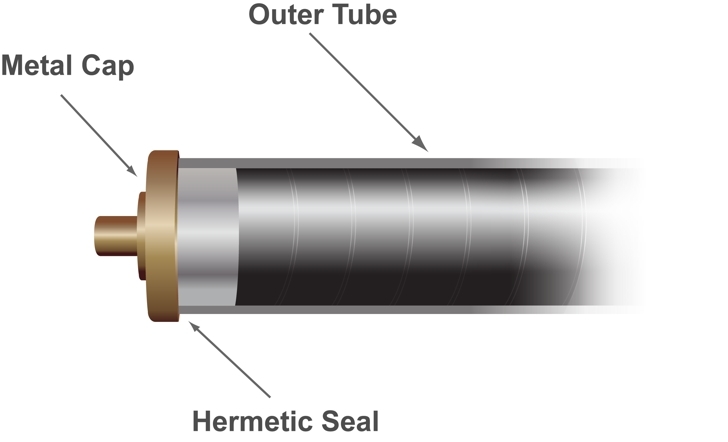 The tubular construction allows wind to blow right through and helps keep the surface free from dust and snow as well as reduce heat buildup which reduces the efficiency of the solar cells. The array is projected to produce 870,000 kW of energy a year, making it the largest of its kind in Washington State. While at first blush, solar seems like an odd choice for Seattle, the city actually has better resources than Germany, which has the most installed solar.